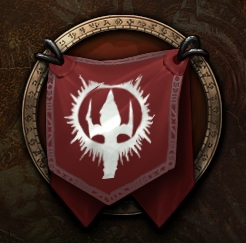 Sundesmos is a raiding guild with over five years experience in all things WOW. We've come along way from healers on dial-up in BC and fat kid breaks every quarter in Naxx. This expansion we are beginning our rampage into the Siege of Ogrimmar. We are currently running raids on Tue/Wed/Sun. We also like to dabble in PVP, because wrecking faces is fun. We are looking into expanding into dedicated battleground groups, brawling, and Arena PVP. For now we content ourselves to random BG's and bounty hunting. We when we're not killing Alliance, we're sometimes killing each other. Throwing yourself on a spike in Dalaran is one beloved contest we like to hold from time to time, as well as a 'nub' run that will set your rez timer to exploding. Other contests happen from time to time, like exploring the game for the latest "Where's Bey? ", Secret Santas, and more! If you're interested in a laid-back guild with an undeniably perverse sense of humor that offers raiding, pvp, and other guild events - please apply! We're always looking for new people to joke with, run LFR's and gank Honor Hold from time to time. Raiders are always welcome and we are constantly evaluating our needs to expand into multiple groups or raid sizes.